Of the Bangor Police Department meets with reporters to discuss the arrest in the city’s Wednesday night double homicide. Bangor police have made an arrest in connection with Wednesday night’s double homicide near the city’s waterfront. Sgt. 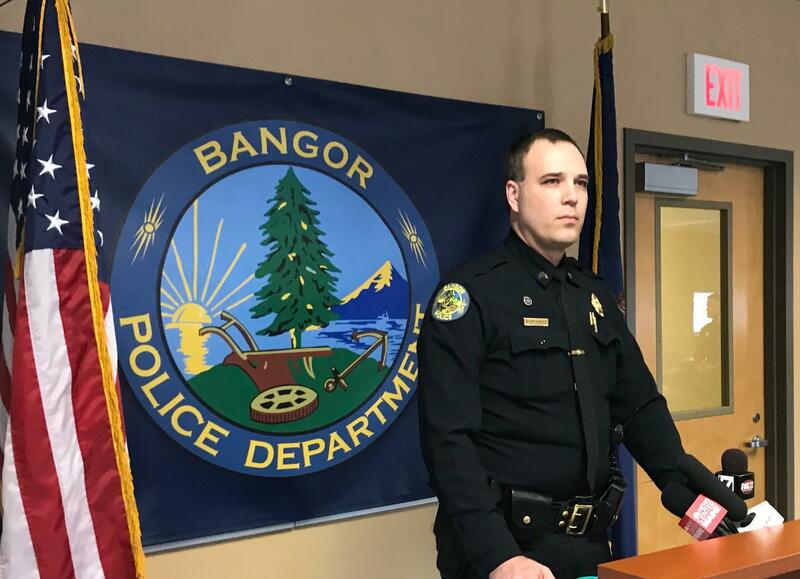 Wade Betters said 25-year-old John De St. Croix of Bangor has been charged in the deaths of Michael Bridges and Desiree York, described by police as members of the area’s transient community. He said police believe De St. Croix is believed to have lived on Ohio Street in Bangor, but that he was friendly with members of the city’s homeless population. “It would appear that he is familiar with several of the people in the transient community and people that may frequent that area,” Betters said. He said investigators were looking at De St. Croix’s Facebook page, which features a number of year-old posts related to a game called Criminal Case in which players attempt to solve murders using certain clues. “He does have some things on his Facebook page that are of interest to us,” Betters said. He said further charges against De St. Croix are expected in connection with the discovery of Bridges’ and York’s bodies, which were recovered from inside a burning delivery truck parked on Washington Street. De St. Croix is believed to have ties to Massachusetts and remains in the Penobscot County Jail pending a Monday court appearance.